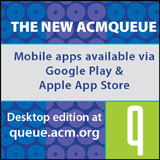 Welcome to the November 1, 2017 edition of ACM TechNews, providing timely information for IT professionals three times a week. Researchers at the Swiss Federal Institute of Technology in Zurich (ETH Zurich) and the University of Zurich in Switzerland have studied how Zebra finches carry out a minimalist, step-by-step process to learn new songs by taking syllables they already know and adapting them to the syllables they must learn. Through trial and error, the birds assemble the newly learned syllables into the proper order. "Interestingly, the birds' strategy closely resembles the best methods currently used in computer linguistics to compare documents," says ETH Zurich professor Richard Hahnloser. He notes such algorithms compare written documents by gauging their words in context irrespective of their exact order. By comparing billions of texts, Hahnloser says these algorithms can calculate the similarity of two words in terms of a number. 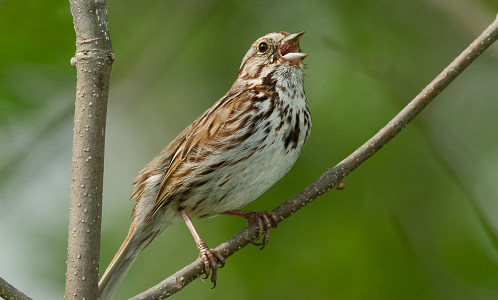 "Today's computer scientists therefore use the same strategy that songbirds evolved--the birds have probably been using it for millions of years," he says. Perl, Delphi, and VBA top the list of the 10 programming languages that developers like the least, according to a new Stack Overflow report. The other languages making the list include PHP, Objective-C, Coffeescript, Ruby, C#, Java, and C++. Stack Overflow's David Robinson says the least disliked languages, which include R, Python, Typescript, Go, and Rust, are among the fastest growing on the site, and the least contentious. However, "we're not necessarily suggesting a causal relationship, where tags being disliked by a component of programmers leads to them being abandoned," Robinson notes. "Another possibility is that people feel comfortable expressing their dislike publicly if they sense that the language is already shrinking in popularity." In terms of the least-liked technologies overall, Internet Explorer, Visual Basic, COBOL, Flash, and ASP Classic topped the list. Meanwhile, machine learning, git, Python-3.X, HTML5, and CSS3 were the most universally liked technologies. 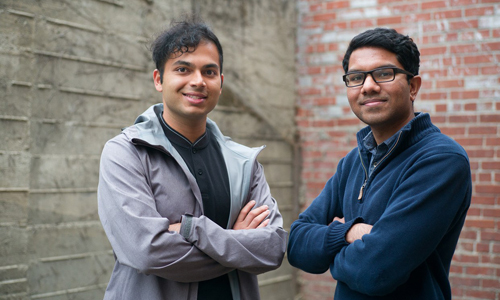 University of California, Berkeley students Ash Bhat and Rohan Phadte have set out to publicly expose alleged bot accounts on Twitter, and this week they launched Botcheck.me, a Google Chrome browser extension that inserts a button onto each Twitter profile. The button triggers a machine-learning model that performs a diagnostic check to ascertain whether the account is real or automated by looking for propaganda software about U.S. politics. Bhat and Phadte fed their model articles from Breitbart and Bluedot Daily to determine which combinations of words underlie conservative or liberal bias, eventually compiling a 150-megabyte natural-language processing construct. The model was later trained on "ground truth" data from 100 specially selected Twitter accounts exhibiting automated behavior, and Bhat and Phadte say their classifier can currently detect a bot 93.5 percent of the time. Bhat says their project is "pushing back" against foreign political meddling "by making data available for other fellow Americans." Researchers at the University of Glasgow in the U.K. and elsewhere have conducted research into "optical angular momentum" (OAM) to overcome challenges with using "twisted" photons across open spaces and enable advanced wireless communications. The team analyzed the effects on both the phase and intensity of OAM conveying light over a real link in an urban setting to assess the viability of such modes of quantum information transfer. "A complete, working optical angular momentum communications system capable of transmitting data wirelessly across free space has the potential to transform online access for developing countries, defense systems, and cities around the world," says Glasgow's Martin Lavery. "Free-space optics is a solution that can potentially give us the bandwidth of fiber, but without the requirement for physical cabling." Lavery says the study could lead to the development of high-dimensional free-space optics that would offer a less expensive and more accessible alternative to fiber-optics connections. Researchers at the Georgia Institute of Technology and Stony Brook University have conducted the first study of combosquatting, a cyberattack that involves tricking users into visiting website domains containing familiar trademarks, but with additional words that change the destination to an attack site. Combosquatting domains do not depend on victims making typos, but instead provide malicious links embedded in emails, Web advertising, or Web search results. The researchers took the 500 most popular trademarked domain names in the U.S. and excluded certain combinations consisting of common words, then separated the domains into 20 categories and added more domains for politics and energy. The team found the space for combosquatting is almost infinite because attackers can register as many domains as they want. In the dataset were 2.7 million combosquatting domains for 268 popular trademarks. The researchers presented their work this week at the ACM Conference on Computer and Communications Security (CCS 2017) in Dallas, TX. In an interview, SuperComputing 2017 (SC17) Conference Inclusivity Chair Toni Collis discusses diversity and inclusion in high-performance computing (HPC). "We aim to enhance the careers of women...by providing them with a platform to showcase their work, and also to provide a wide variety of female role models," Collis says. She notes the Inclusivity group is strongly interested is promoting the fact that "HPC and supercomputing are...vitally important to the progress of society, but we all need to make an effort to share this." Collis cites three key objectives for this year's program, including broadening its reach and inclusivity activities for groups already identified as underrepresented in the HPC community. Another goal is to learn more about these and other groups, the forces affecting them, and whether they differ from the rest of the community. The third emphasis is on spurring dialogue on the importance and benefits of inclusion and diversity across the global supercomputing community. Researchers at the Massachusetts Institute of Technology (MIT) and elsewhere have unveiled Taco, a tensor algebra compiler that automatically generates code optimized for sparse data. The team says Taco accelerates performance to 100 times that of existing, non-optimized programs. Tensor operations are usually broken down into their constituent components by mathematics software, but MIT's Fredrik Kjostad says this process takes too long for big data analysis. With Taco, the coder specifies the size of a tensor, whether it is full or sparse, and the site of the file from which it should import its values. For any given operation on two tensors, Taco constructs a hierarchical map signaling which paired entries from both tensors are nonzero, and then which entries from each tensor are paired with zeroes; it removes all pairs of zeroes. The researchers presented Taco last week at the ACM Conference on Systems, Programming, Languages, and Applications: Software for Humanity (SPLASH 2017) in Vancouver, Canada. Researchers at Harvard University's School of Engineering and Applied Sciences (SEAS) have developed the latest generation of RoboBee, an aerial-to-aquatic robot that is 1,000 times lighter than any previous model. The robot has floating devices so it can stabilize on the water's surface before an internal combustion system ignites to propel it back into the air. 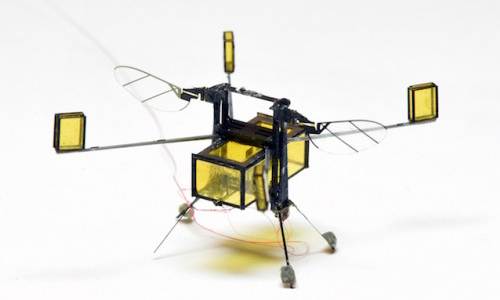 The researchers say RoboBee could be used for search-and-rescue operations, environmental monitoring, and biological studies. "We designed new mechanisms that allow the vehicle to directly transition from water to air, something that is beyond what nature can achieve in the insect world," says SEAS' Yufeng Chen. The researchers combined theoretical modeling and experimental data to find the right combination of wing size and flapping rate, scaling the design to enable the robot to operate repeatedly in both air and water. "The RoboBee represents a platform where forces are different than what we--at human scale--are used to experiencing," says Harvard professor Robert Wood. Researchers at the University of California, San Diego (UCSD) have used advanced machine learning to develop technology that mines Twitter to identify entities illegally selling prescription opioids. The machine learning system found that between June and November 2015, there were 619,937 tweets containing the keywords codeine, Percocet, fentanyl, Vicodin, Oxycontin, oxycodone, and hydrocodone. The researchers also found 1,778 posts marketing the sale of controlled substances, 90 percent of which included hyperlinks to online sites for purchase. The researchers used a three-step process that involved cloud-based computing to collect large volumes of tweets filtered by keywords, machine learning to identify the tweets related to opioids, and Web forensic examination to analyze posts that included hyperlinks to external websites. "Our study demonstrates the utility of a technology to aid in these efforts that searches social media for behavior that poses a public threat, such as the illegal sale of controlled substances," says UCSD professor Tim K. Mackey. 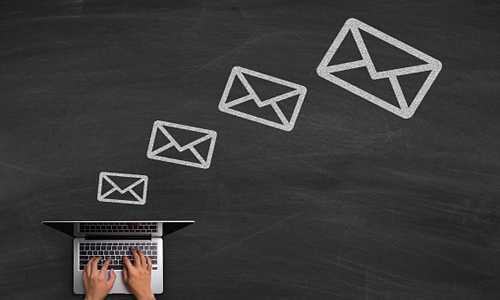 Researchers at Nottingham Trent University in the U.K. have demonstrated it is possible to identify someone by analyzing small sequences of words in emails. The researchers analyzed thousands of emails from 12 employees at a former energy company and correctly identified the authors 95 percent of the time when the samples were longer than 1,000 words. The team compared how often employees used certain sequences, between two and six words, in their emails, and found the way people join small words together is unique to them. "The repetitiveness of these phrases shows that the individual has developed their own tried and tested phrases, which they know will work to get a job done," says Nottingham Trent University's David Wright. The researchers say their study could be applied to improving the reliability of evidence given to the courts, ultimately improving the justice system. Brown University professor Philip Klein says algorithms can help solve the problem of redistricting, and he has co-authored a study that details the use of "balanced centroidal power diagrams" to split states into equally-populated voting districts. Klein says the redistricting algorithm initially finds a center point for each proposed district, and then attempts to minimize the distance of people in the state to each of these centers while also maintaining balance between the populations assigned to each center point. "One of the advantages of this method is it provides very little scope for politicians to engineer it," Klein notes. He envisions the future use of data and computer models to draw boundaries, although he acknowledges algorithms may have problems accounting for various redistricting rules. 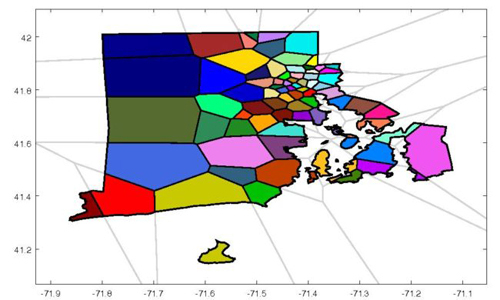 "Coming up with a fair redistricting process probably is a sort of a partnership between humans, machines, and mathematical modeling," says Massachusetts Institute of Technology professor Justin Solomon. The U.S. Defense Advanced Research Projects Agency has awarded a contract to the University of Southern California's (USC) Information Sciences Institute (ISI) to lead Cognitive Online Simulation of Information Network Environments (COSINE), a multi-university initiative for developing large-scale simulations of online behavior in complex social networks. "The simulations will enable a principled exploration of behavioral models that is impossible to do inside a physical lab," says USC Viterbi professor Emilio Ferrara. "It allows us to assess, understand, and model a variety of hypotheses about information diffusion on social media." COSINE researchers will use ISI's Cyber Defense Technology Experimental Research Laboratory to establish a virtual lab to study influential online social dynamic variables, and analyze how they impact the speed of content's proliferation from individuals to communities to global collectives. "COSINE will provide a holistic understanding of how information spreads on complex massive-scale networks from a mathematical and an empirical standpoint," Ferrara says. As director of the Massachusetts Institute of Technology's Computer Science and Artificial Robotics Laboratory and its Distributed Robotics Lab (DRL), professor Daniela Rus is at the forefront of robot innovation. Rus envisions "a world with...pervasive robotics integrated into the fabric of everyday life, helping everyone with physical work and cognitive tasks." Achievements by Rus' team include pill-sized machines that can move within the body to repair internal injuries, a swimming robotic fish, and drones paired with driverless vehicles to scan blind spots. Rus says DRL's research concentrates on advancing the science of autonomy, and the resulting technologies often defy standard definitions of robotics. One example is an ingestible robot that folds and unfolds like origami; the work dovetails with Rus' founding of the Soft Robotics Group, whose goal is to rethink robots into self-reconfiguring form factors. Enhancing robots' reasoning and decision-making ability is another key emphasis of Rus' research.